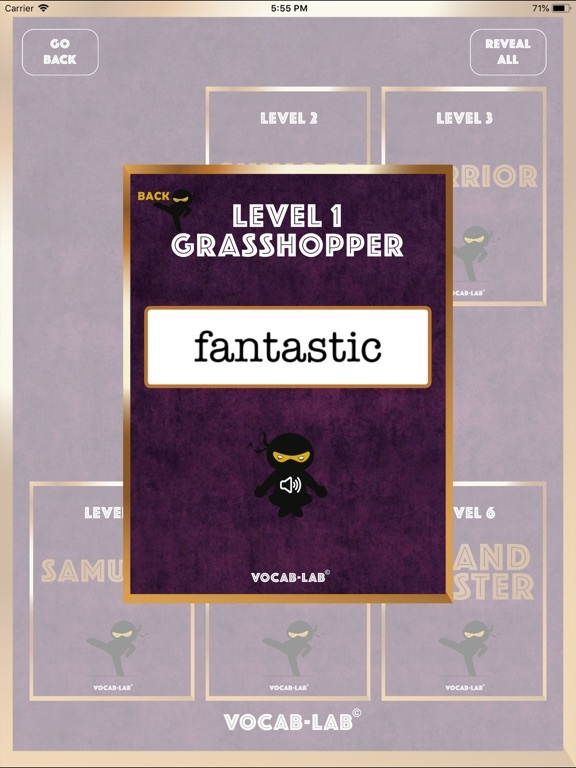 Become a Vocabulary Grand Master with the Vocab-Lab! 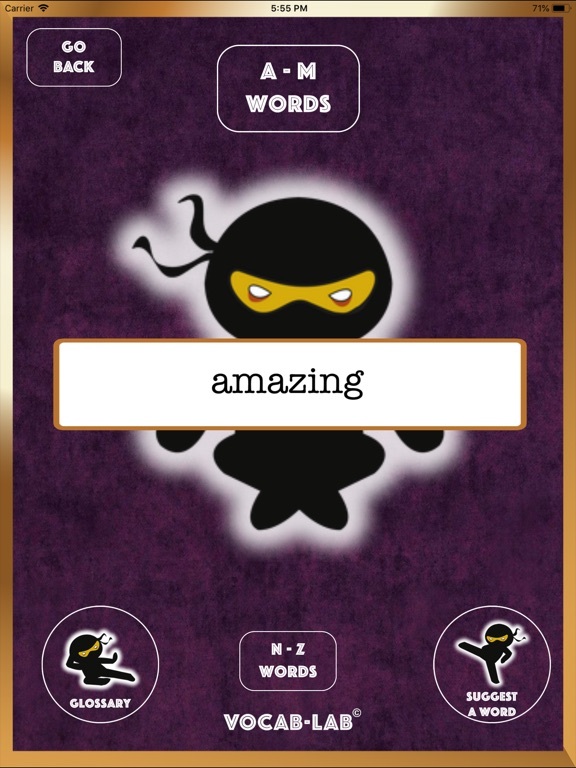 100 commonly overused words, 600 amazing alternatives! The Vocab-Lab provides 600 suitable alternatives to 100 commonly overused words in schools, in an accessible and engaging medium for users. 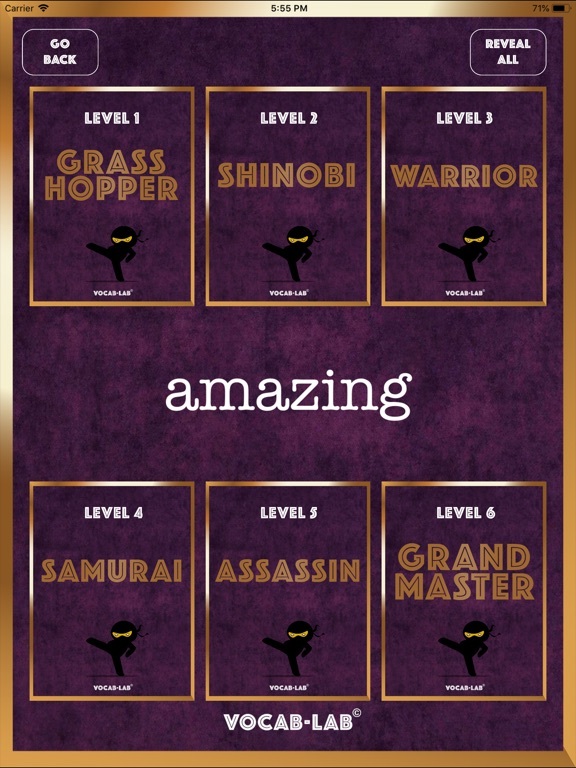 Vocabulary Ninja has provided six, ranked alternatives for each word, to help users to expand their vocabulary and become a Vocabulary Grand Master! 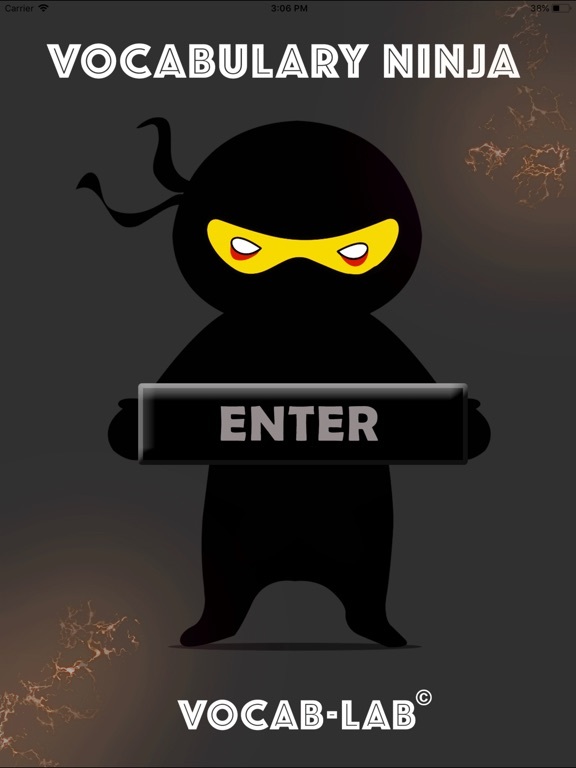 Simply choose a word by selecting it from the scrolling word menu. This will reveal 6 alternative words that are ranked in complexity, from Grasshopper level to Grand Master! Each word has a sound button, for users to hear the word and assist in pronunciation and understanding. 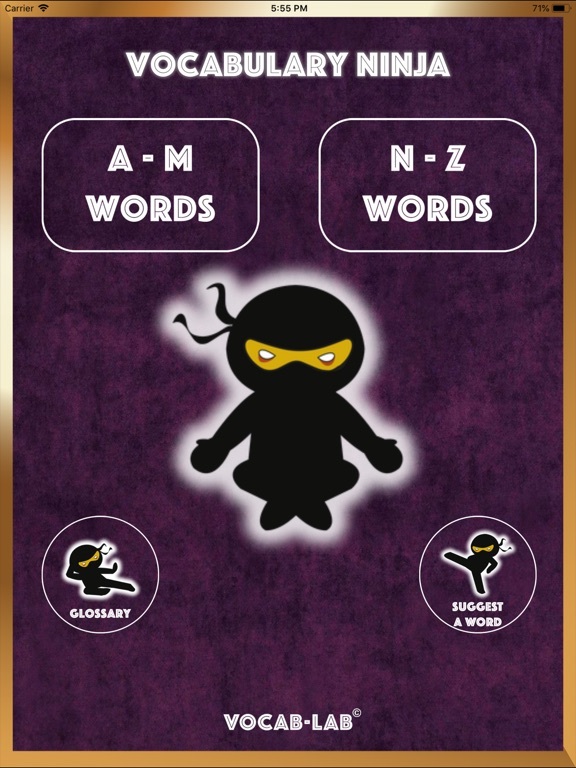 The title screen also has a link to a 'Glossary' which provides a full overview of the 100 words on one page. If there is a word that you think should be included, then use the 'Suggest a Word' button to submit your idea! Please note that these alternatives are not necessarily synonyms of the chosen word, this will be dependant on the context they are being used.